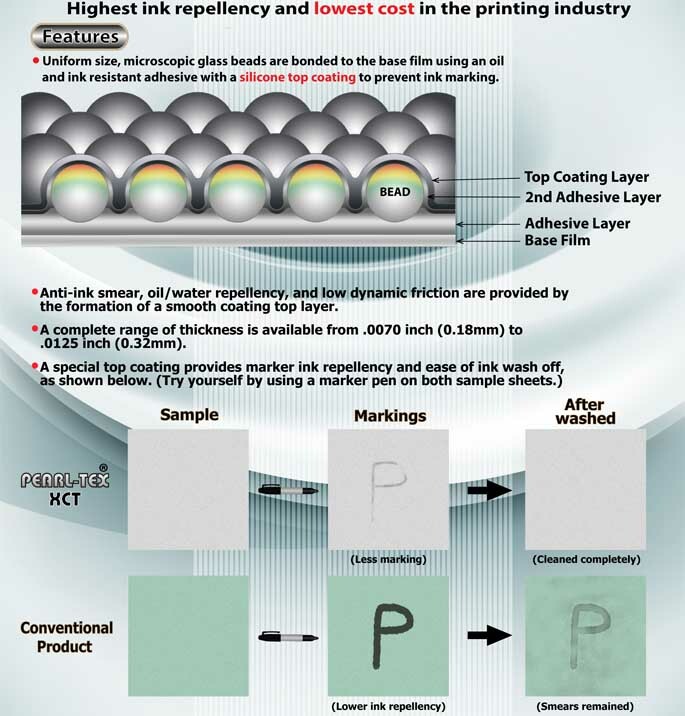 Since 1987, Anti-Marking Systems, Inc. has been a world leading supplier of silicon glass beaded anti-marking products with Pearl-Tex and Gem-Kote brand names for the offset printing industry. In 1995, we introduced our high performance Pearl-Tex 21 material and the Anti-Marking Loop Jacket as an alternative to replace the original Heidelberg® Black Jacket and Blue-Net® Systems. The current development of the Nano-Tex Anti-Marking Jacket represents the latest achievement of offset printing. Although you can find several anti-marking products in the industry, these are all poor quality replicas. Highest performance and customer satisfaction is our guarantee. *Blue-Net is a registered trademark of Printing Research, Inc.
© 2007-2015 Anti-Marking Systems, Inc.